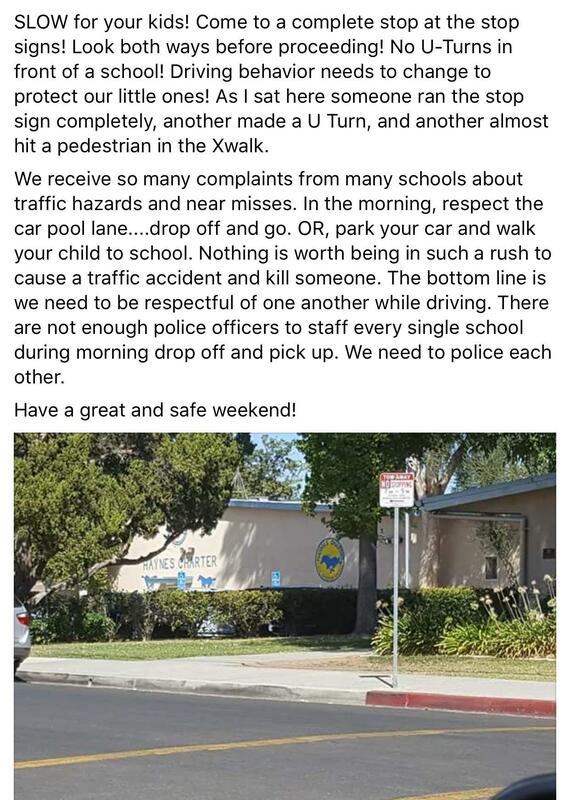 Please read the following from local school police regarding school drop off and pick up safety! Parents, guardians, students - please follow safety protocol around our campus! There are many parents encouraging jay walking in and around buses and cars. Do not park illegally and block the right lanes on Platt.